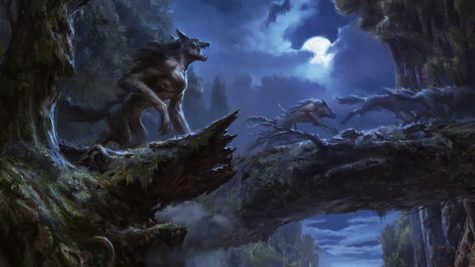 The werewolf curse is the oldest way to become a werewolf. 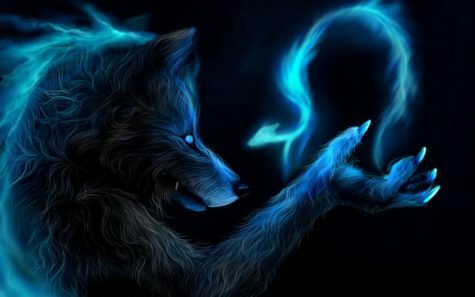 The first werewolf to be written about in ancient times was made that way by a curse from Zeus (Curse of King Lycaon). Since the gods don’t curse people anymore (at least not directly), it is left up to witches. I don’t mean Wiccans. I mean old-school, dirt, blood, and eat your children type witches. The kind you don’t want to meet in a dark forest alone. But if you do meet one you may be able to convince them to turn you into a werewolf instead of boiling you for dinner. Good luck! 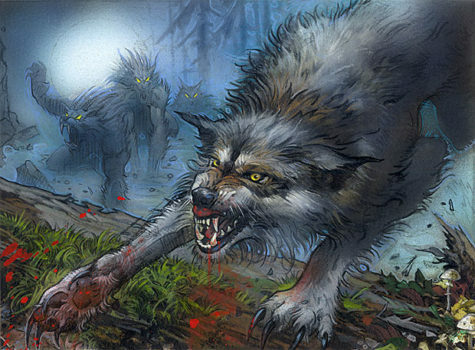 Being bitten by a werewolf is one of the most common ways that people become lycanthropes these days. The trick here is to survive the other bites that come after. Usually made of wolf skin or wolf leather and enchanted by a witch or enchantress. These normally take the form of a belt worn around the waist or a pelt worn over the shoulders and back. This method has the upside of allowing you complete control over when you change. The downside is if the clothing gets lost or stolen you can no longer become a werewolf. The werewolf potion is a fairly common way to become a werewolf. It usually contains wolfsbane (which is highly poisonous to humans so don’t try this one at home), a small amount of powdered silver, and several other herbs. The potion, or salve in some cases, is then either drank or rubbed on the skin. This is always done under the light of a full moon. Depending on the potion the effect may be permanent or temporary. Ah, the old pact with the devil. Is there anything that guy can’t do? This method gained popularity in 16th century Europe, especially in France, though it dates back much farther. A little known fact about the witch trials of Europe is that while the women were being accused of being witches, the men were being accused of being werewolves, and both were thought to consort with the devil. We don’t recommend this method. Deals with the devil are always messy and he charges too much (your soul). Then there are the lucky ones who are just born werewolves. No need to mess around with potions or witches for them because their parents or other ancestor did it for them. There are two generally accepted ways to be born a werewolf. Either your parents (both of them) have to be werewolves or your family has to be under a blood curse from a witch. In the case of a blood curse you may not turn into a werewolf until your 18th or 21st birthday. Or it may be when you hit puberty. Witches are unpredictable like that. This is one of the original ways to become a werewolf. 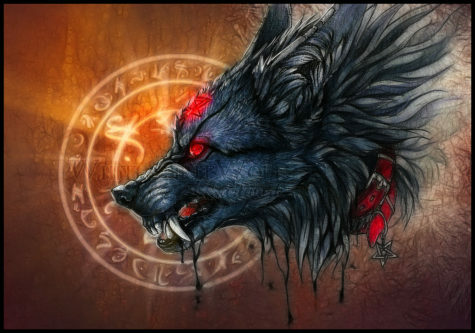 After King Lycaon got ‘curse smacked’ by Zeus, a rather large cult formed called ‘Zeus Lycaeus.’ They were big on sacrificing people and babies on Zeus’ alter and eating wolf and human meat in order to become werewolves. The practice lasted more than 1500 years. With this method, the change is permanent and you don’t regain human form. This one is also brought to us by the ‘Zeus Lycaeus’ cult of ancient Arcadia. They would bathe in special pools of water thought to have been touched by a werewolf (usually King Lycaon himself). 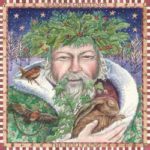 This was always done during a full moon, though the specific time of year also played a part. Later it was thought that drinking water touched by a werewolf would have the same effect. There was a short lived superstition in the dark ages that if a werewolf cooked your food and you ate it you would become a werewolf. This little flower is said to grow on the Balkan Peninsula in Southeast Europe near Romania. The flower is yellow with white edges and often said to resemble yellow monkshood. When picked the flower will ooze a white sticky sap and give off a foul odor. Sometimes the flower is eaten. Sometimes it’s mixed into a potion and drank, and sometimes simply picking the flower is enough to turn you into a werewolf. It is said that a werewolf in human form will be forced to change if exposed to this flower. There is an old legend that states that werewolves were often buried with these flowers. 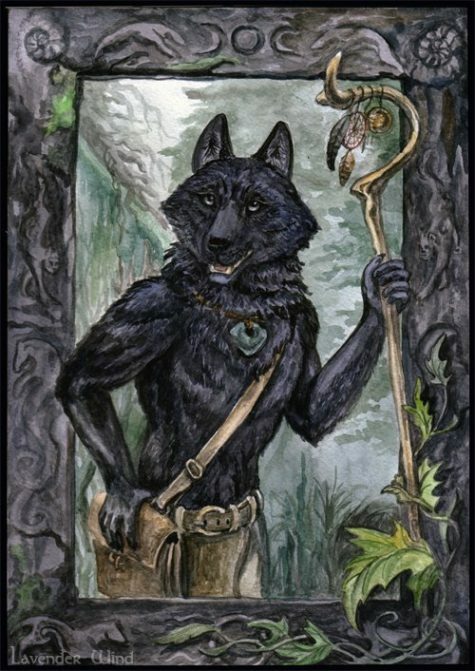 Since a werewolf usually changes back into a human when it dies, other werewolves will tie these flowers around the dead person so that it can be a werewolf in the afterlife. 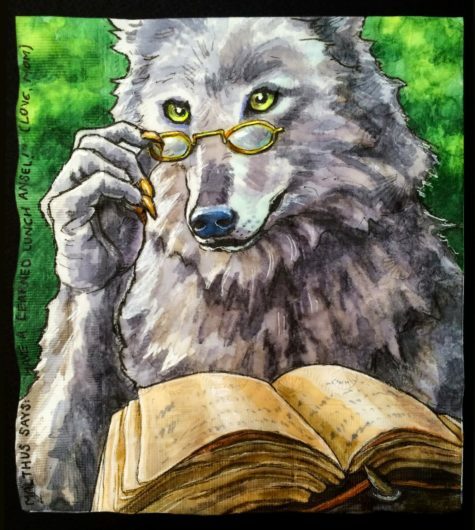 So you tried lycanthropy and decided it wasn’t for you. Not really a night person after all? Too many fleas? Maybe you decided being a Vampire is more your thing. We won’t judge. Some of these cures are dangerous so use your best judgement before trying them. Some of them will only work if you were turned into a werewolf in a specific way. Such as, the curse removal method will only work if you were cursed to begin with. Through much of history, people believed that all werewolves were created by the devil. Most believed that the human was still a human (a bad one that made a deal with the devil, but still human) but was being possessed by a demon werewolf. And what’s the cure for a demon werewolf? Exorcism of course! The exorcisms were performed while the subject was in human form since it’s quite hard to get a werewolf to sit still for long enough. The exorcism process isn’t as bad as some of the other cures, but it isn’t fun either. Imagine your Sunday preacher coming to your house, yelling at you all day, and throwing water in your face. Not for just one night either, like in the movies. The exorcism process could take several weeks, months, or even years. Wolfsbane is a plant that has been associated with werewolves for a long time, and associated with wolves for even longer. Some say it will kill a werewolf or keep it away from you if you wear it. Some say it will turn you into a werewolf if you mix it into a potion. The belief in this cure arises from the fact that wolfsbane has been used to kill wolves for centuries. So, they reason, if it kills wolves then maybe it can kill the wolf part of you and turn you back into a human. The only drawback to this is that it’s very deadly to humans and most other things as well. We don’t recommend trying this. The ‘Zeus Lycaeus’ cult believed that if you bathed in, or drank from, the same water that turned you into a werewolf then you would turn back into a human. As far as we know, this cure only works if you were turned into a werewolf by bathing in these waters. Still, it could be worth a shot. Around the time of the Age of Enlightenment (1600 – 1800 AD) people began to see lycanthropy as a sickness or something gone wrong with the blood. They began using modern medicines and surgeries to treat it. These practices were still very primitive according to modern standards and many (if not most) did not survive. The most common surgery included draining a large amount of the subject’s blood, inducing vomiting, and drinking lots of vinegar in an effort to purify the blood. This was a common surgery back then since they believed that most sicknesses were caused by bad blood. In fact, they believed that just about everything was caused by blood. Hot blooded if you were angry, blue blooded if you were rich or royal, bad blood if there was something wrong with you, etc. Remember that mean, baby-eating witch we mentioned earlier? Well if she was the one who cursed you then the only way to get cured is to try to convince her to undo the curse. We recommend bringing a gift. Similar to the exorcism method, this cure revolves around the believe that a werewolf is a human who is possessed by a demon werewolf. 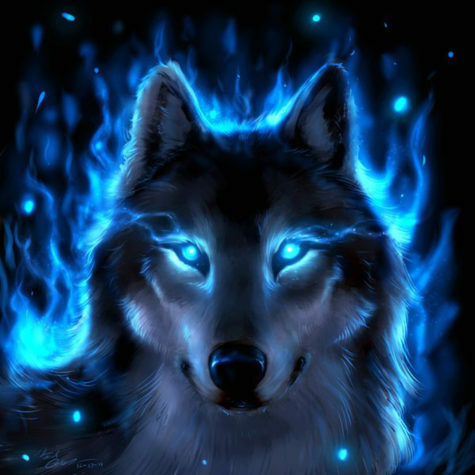 The belief states that if you can convince a werewolf (usually in human form) to convert to Christianity then he will be cured. If that doesn’t work, then try the next method below. Also related to the religious idea of werewolves, this belief states that if you strike a werewolf on the forehead three times with a cross shaped object then it will be cured. The reason it must be three times is because three has always been seen as a powerful number. It plays a large role in most religions and in witchcraft.